I hope you have read my blog about my favourites at NZFW, it was hard making the decision which ones stood out the most but I did and blogged about two of them. And… now I am going to share with you my favourite ‘New Designers’. Actually some are not brand new BUT some certainly are. Havilah got the opportunity to showcase a 10 look collection in the annual New Gen show where 4 emerging designers are chosen each year. 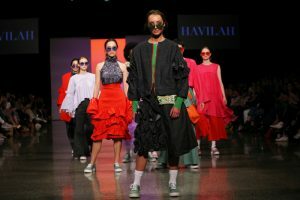 Self-titled label Havilah launched only months ago after being approached on numerous occasions throughout her schooling to fulfil custom orders, when Havilah finally decided to design a capsule collection to debut at New Zealand Fashion Week. 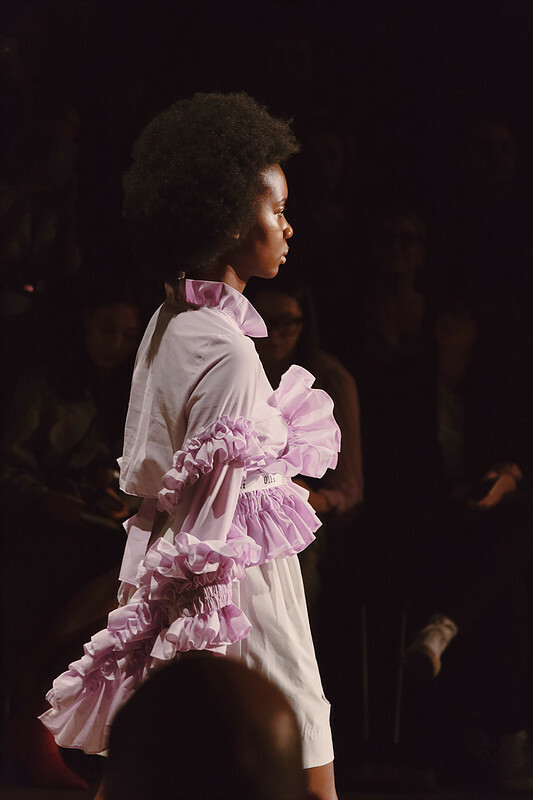 The designer has titled this collection ‘Unapologetic’ and describes it as “pushing the boundaries on what was once feminine”. Havilah wants the collection to turn heads and inspire empowerment through the creative process. My second pick here was Olli. Olli is a bold combination of Renaissance trends and modern street style. Holly the Designer is a lover of the arts and this was simply another art form that she found and gained interest in. Holly says “​I have a love for the earth stronger than my love for beautiful clothing. The majority of fabrics I use for Olli’s ruffles and frills are sustainably sourced; recycled and thrifted fabrics that would otherwise be headed to landfill. Our postbags are biodegradable and I hope for our stickers and swing tags to soon be replaced with eco-friendly substitutes. Sustainable fashion is the only way forward. 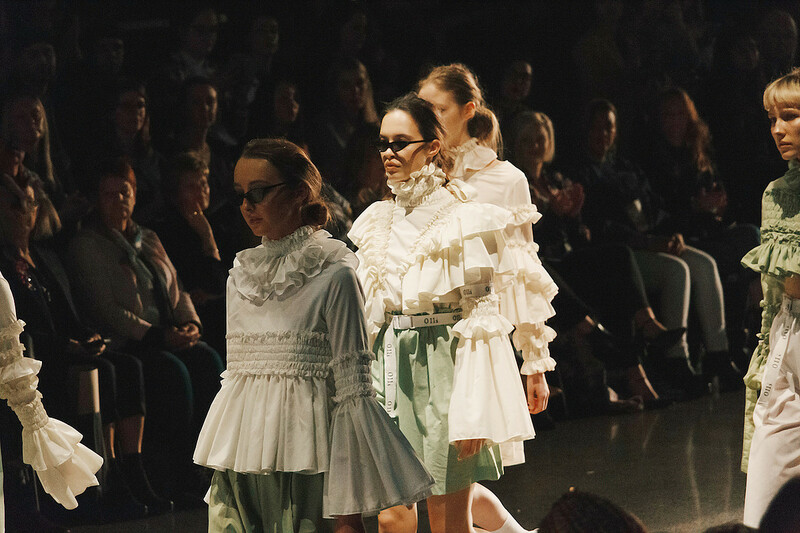 Mid-century modern but with a subversive kick, this had all the hallmarks of what the Wynn Hamlyn woman’s wardrobe has shaped up to be in the young designer’s burgeoning career thus far — innovative knitwear, elegant day dresses, tidy tailoring. As if plucked straight out of Agent 99’s closet in Get Smart this resort collection featured structured coats with oversized resin toggles made by his mother and suiting that riffed on day jackets from the 60s. Boxy blazers teamed with crisp trousers and dresses were standout outfits, as was the blazer and denim jeans look worn with heels, an outfit that offered a clear insight into the chic attitude the label has harnessed since it launched in 2015; a mix of Wynn’s own zen personality combined with an artful sensibility. Wynn Hamlyn, classic with interest. How adorable that the resin toggles were made by his mother. As you can see there was also a mix of summer & winter styles, it’s showing us that Fashion is really trans seasonal. Luxe fabrics are worn all year round and for all occasions. I also noticed that hair was kept simple, it was really about the garments. Every year it proves to me how talented we are with designs. These Designers have come such a long way to even appear at Fashion Week I wish them mountains of success. If you have any queries about any of my Personal Styling services or you would like to give some feedback. Drop me a line here. I hope you enjoyed sharing “My new Designer finds”. Until next time.